These gentle giants originate from East Africa. They can reach a good size of 7 inches and like to bury themselves in the soil. They are vegetarians and love to feast on salad and soft fruit in captivity. 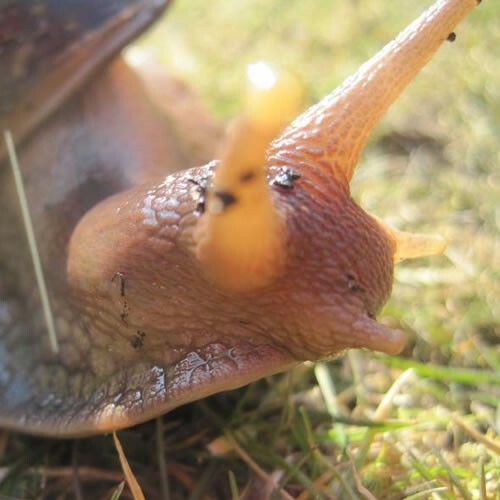 Like all snails they are hermaphrodites, which means they are both male and female. If you have 2 snails you will undoubtedly end up with lots of eggs. They can lay around 60 eggs at one time. These snails should not be released into the wild as they may become serious pests to our own country. Good egg management is what is needed or rent a beast and we will deal with the situation for you.